Keidanren USA is the U.S. liaison entity for Keidanren, the Japan Business Federation. 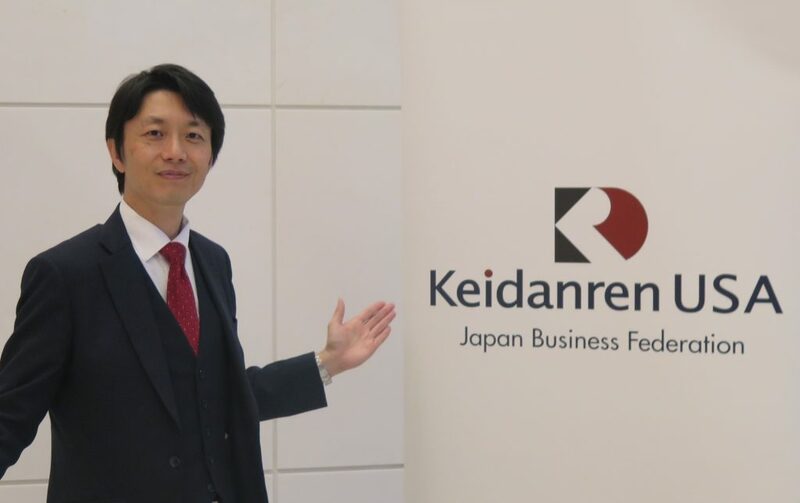 Keidanren is a comprehensive Japanese economic organization with a broad membership consisting of 1,329 Japanese companies, 109 industry associations, and 47 regional economic organizations. Keidanren USA’s office is located in Washington, DC. Its core mission is to facilitate more engagement by the Japanese business sector with the U.S. policymaking community, and to promote the very real contributions (in terms of investment and jobs) being made by Japanese companies to the U.S. economy. 2015 has already been a momentous year for the U.S.-Japan economic relationship. The visits to the U.S. by Prime Minister Abe in April and by Keidanren’s delegation of about 100 senior Japanese business executives in late June were indicative of the importance placed in the U.S. by Japanese government and Japanese businesses respectively. Keidanren USA’s return seeks to build on and channel the renewed interest in Japan among U.S. policymakers. YASUHIRO UOZUMI is the Executive Director of Keidanren USA. 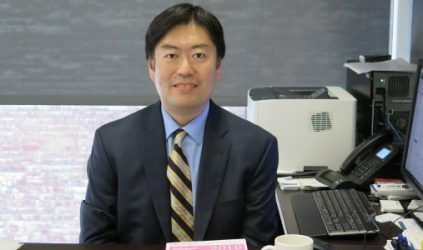 Mr. UOZUMI succeeded his predecessor, Mr. ATSUSHI YAMAKOSHI, as head of Keidanren’s Washington DC office in June 2018. Mr. UOZUMI joined Keidanren more than two decades ago. In the course of his career there, he is noted for his expertise on such issues as accounting, taxation, industrial policies, transportation and emerging markets, especially in Southeast Asia and Latin America. He also served as Secretary to the Keidanren Chairman. Mr. UOZUMI earned his B.A. in Economics at the University of Tokyo and his MBA from Said Business School at the University of Oxford, the United Kingdom, with a British Government Chevening Scholarship. He also conducted research on accounting at the Program on U.S.-Japan Relations of the Weatherhead Center for International Affairs at Harvard University. He is a Certified Public Accountant. Ken Kurokawa is Director of External Relations for Keidanren USA. He is in charge of outreach and coordination initiatives regarding the U.S.-Japan economic relationship with: U.S. government entities, think tanks, U.S. industry organizations, Japan-related organizations, and U.S. representative offices of Keidanren member companies. Prior to joining Keidanren USA, Mr. Kurokawa was Director of International & Legislative Affairs at the Computer & Communications Industry Association (CCIA), where he represented member company interests on technology policy issues such as trade, tax and immigration. Mr. Kurokawa brings a unique blend of Japanese business experience and U.S. advocacy experience. He spent over seven years working for The Sumitomo Bank Ltd. in Japan, prior to his time at CCIA. Mr. Kurokawa earned his B.A. in Economics at Keio University in Tokyo, and his M.A. in Political Science at American University’s School of Public Affairs.